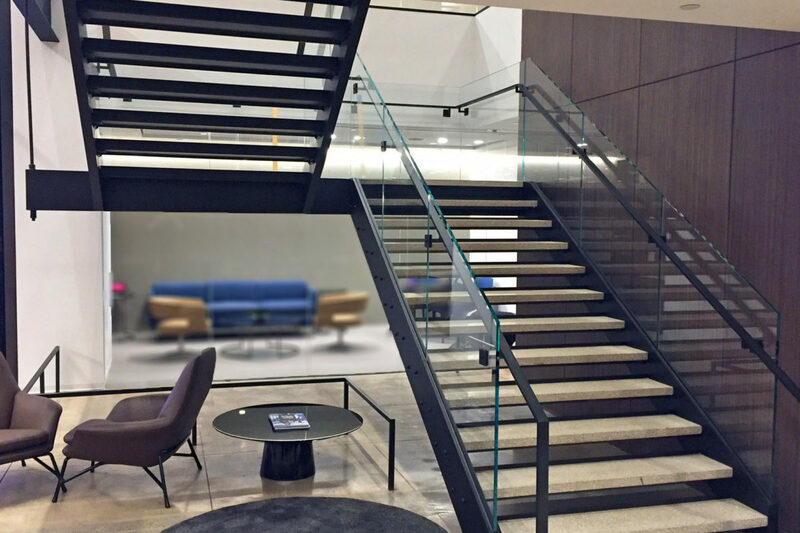 Custom entrance in Newmark Grubb Knight & Frank office space. 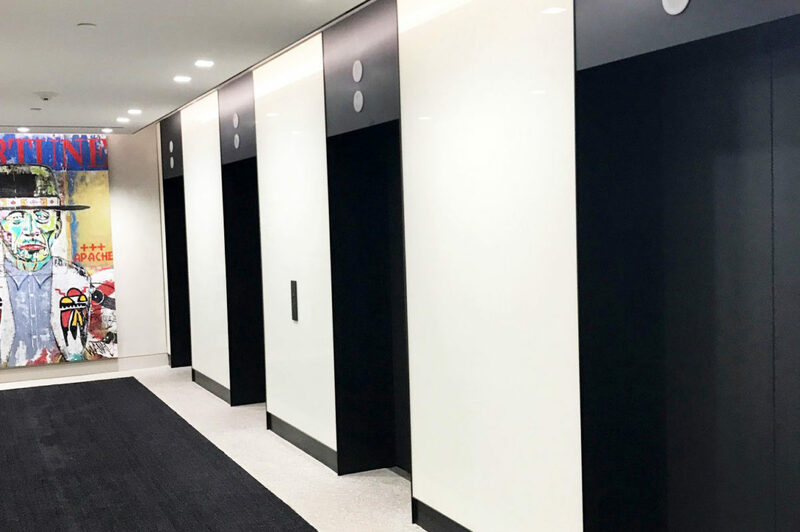 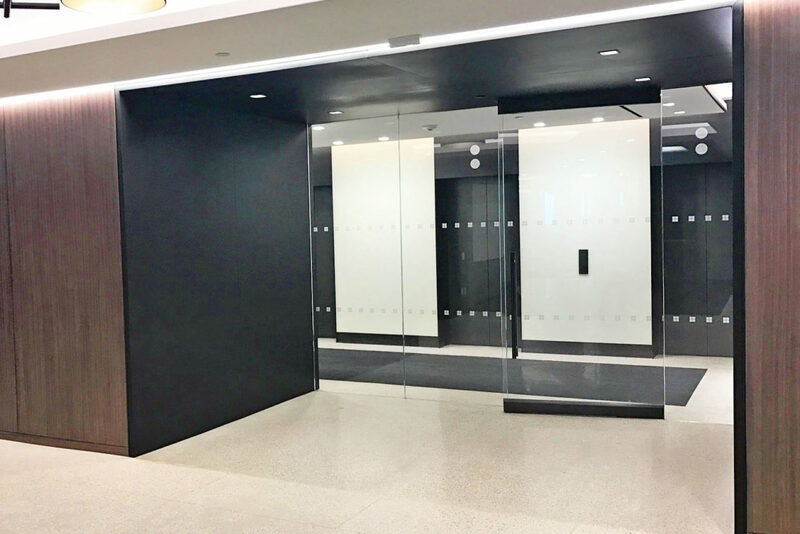 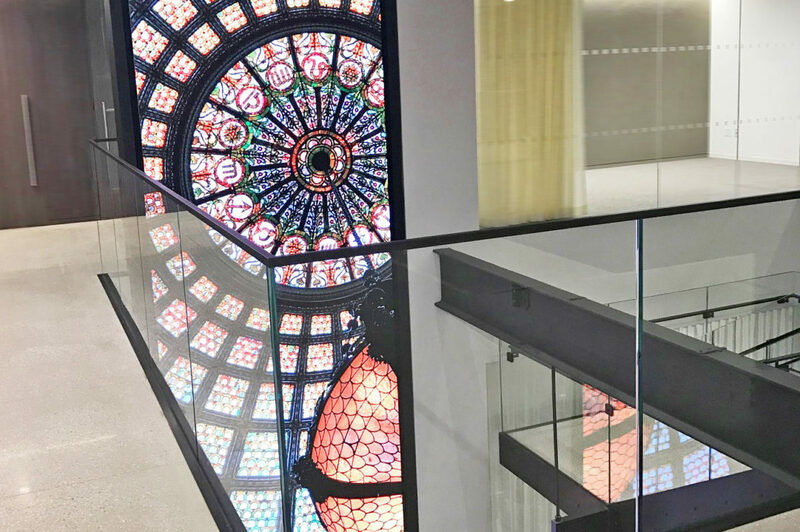 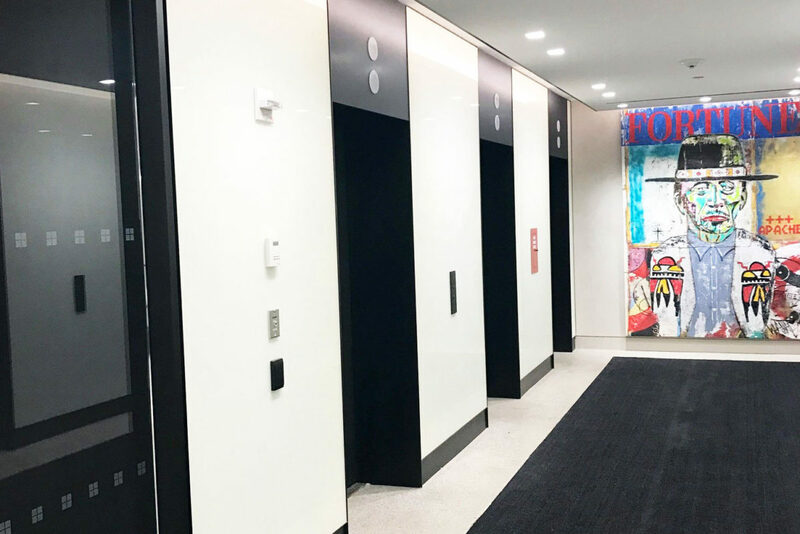 Custom blackened steel elevator portals & header + back painted glass. 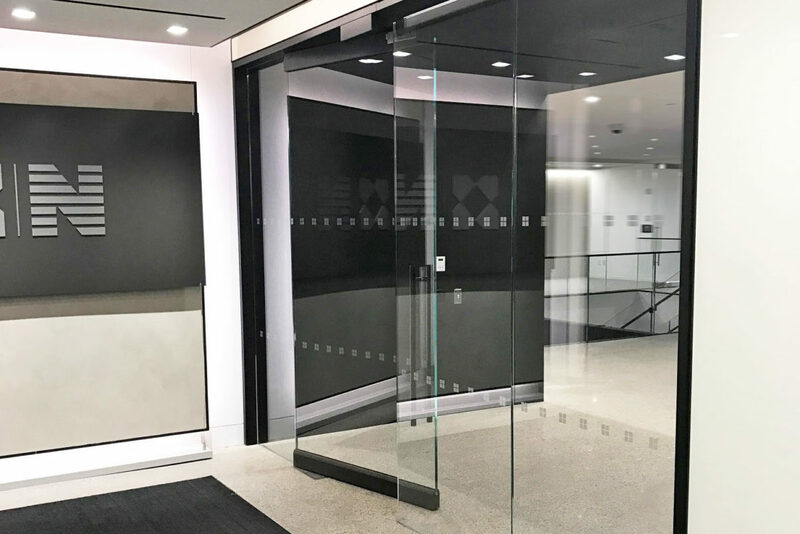 Entrance with custom blackened steel portal. 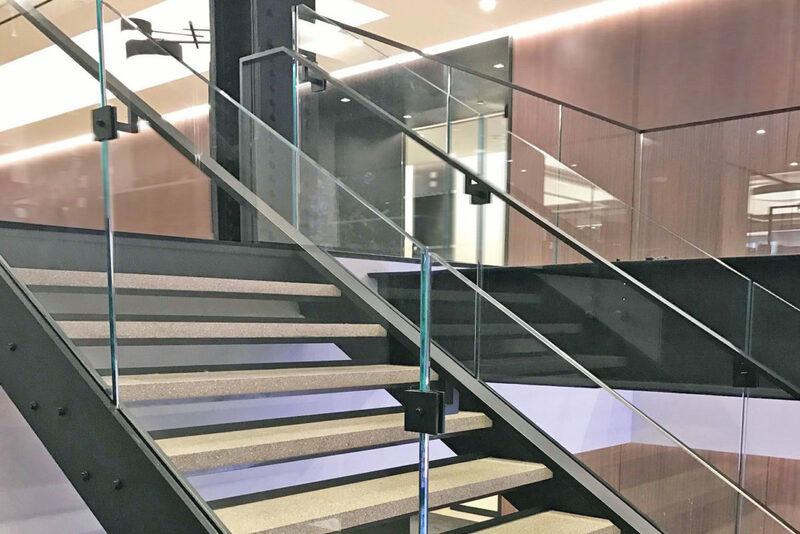 Custom design build stair fabricated by Mistral with blackened steel supports, glass railing, + hand rails. 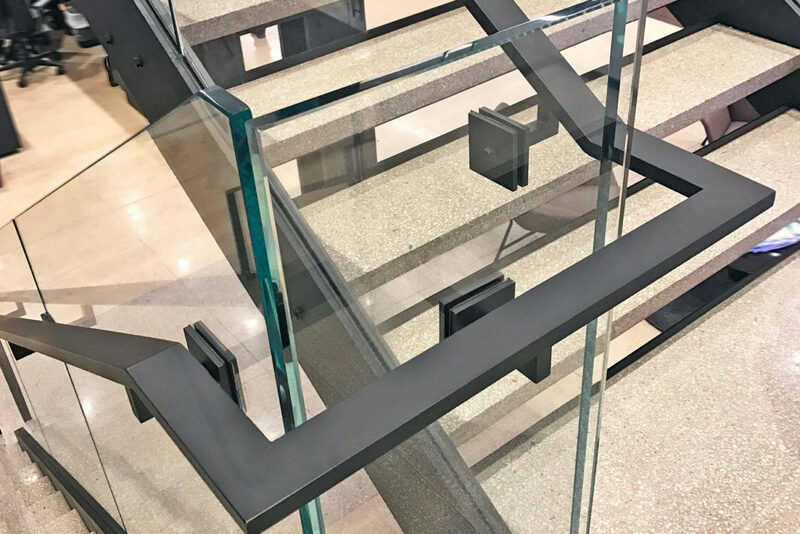 Glass guard railing with blackened steel cap. 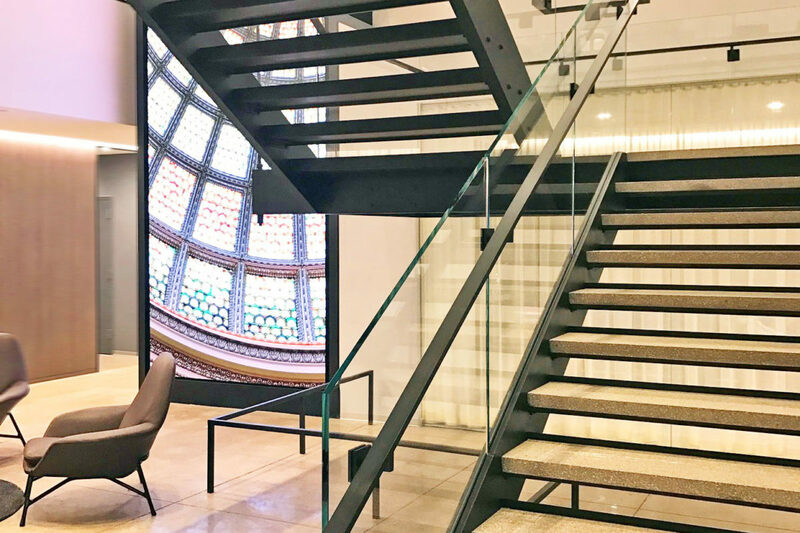 Custom design build stair fabricated by Mistral with blackened steel tread supports + bolted connections for an industrial look.